Welcome to Issue #33 of the Bootleggers Buzz and happy birthday Bootleggers! This week we had a fancy birthday party, Bootleggers became nine years old. 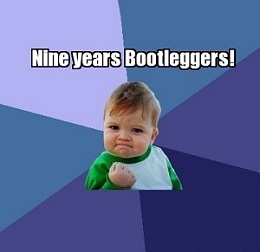 Nine years Bootleggers, isn’t that one hell of an accomplishment?! Some players are even here since the beginning; 2003! Because of the birthday party I asked the Buzz Team to write a short article about their best moments on Bootleggers. We would appreciate it if you also share your best moments! Now, back to content of the week. Not much happened this week. 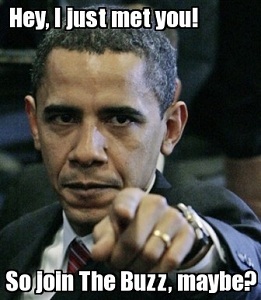 Unfortunately two excellent writers left the Buzz Team. I’m talking about Magnesium and z2kk. Both writers are too busy in real life to write a weekly article. They are great writers and I think they deserve an applause. They wrote some amazing articles and The Buzz will definitely not forget them. So what else happened?! Well, FIFA 2013 got introduced and of course the iPhone 5 is officially for sale. Now back to Bootleggers, because Altro isn’t a Help Desk Operator anymore and Gangsters Sanctuary got wiped again. Again? Yes, again! We got it covered for you, so get reading! And finally, we have the results of the give-away. It was your job to create new lyrics for the song; Call me Maybe. We didn’t receive a lot entries, but we have four winners! Congratulations blackkettle, iAldo, Kintaro and FearReturns! That’s all for this week. A short Editor’s Note, because there’s not really much to tell. Enjoy the Issue and have a good Sunday! The best Bootleggers moments of Afty! Voluns shares his best moments on Bootleggers! This week the Buzz investigated Klere. Is he a troll or an anti-troll? This week's guest is ShyGuy! Wait, ShyGuy?! Once again, the Gangsters got wiped! Not a medal, but he deserves a prize! The fourth place goes to Klere! The bronze medal goes to Aldo! The second place goes to... Kintaro! And the winner is... FearReturns! FearReturns gives his opinion about Bootleggers! A Comic made by Liliana! Will these comics ever stop?! Let's hope they don't!